You know when you are a little kid and excited for your birthday or Christmas, and all the adults tells you that giving is better than receiving? You look at them in disbelief and think “yeah, right, bring on my presents please!”. Then you get a little older and you see a little glimmer of what they mean when you find the perfect gift for a loved one and can hardly wait to give it to them. Then you get a little older still, making your own money, and you find that it really is quite pleasurable to spend it on someone other than yourself. And then suddenly you are a grown up, with little children of your own, and you hardly think about your own wants or needs at Christmas and birthdays, but find yourself wild with excitement at the thought of watching your kids open up their gifts. That’s when you finally feel that it might be true: it is better to give than to receive. Well, dear reader, here I am, two days after my 40th birthday, and I am giving gifts to you. Or rather, I am giving you the opportunity to win a gift here on All Day I Dream About Food. As you probably know, many of my recipes are made with products by Bob’s Red Mill, and I usually have at least 3 or 4 open Bob’s packages in my baking cupboard. They also happen to be very nice people and I’ve had nothing but good vibes when I’ve worked with them in the past. So I asked them to help me celebrate my birthday, the big 4-0, and they agreed to let me host a little giveaway of my top 5 favourite low carb, gluten free products. I love their hazelnut meal, it was the inspiration behind my Hazelnut Chocolate Chip Bundt Cake, so that had to go into the prize pack. And I use their golden flax seed meal all the time for pancakes and muffins, like my Pumpkin “Bran” Muffins. 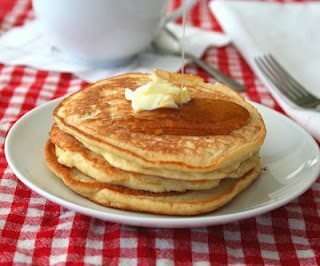 Their coconut flour is perfect for making my Light and Fluffy Coconut Flour Pancakes. And I use their xanthan gum all the time in baking, my single bag has lasted me a good 2.5 years, and I bake a LOT! It was a toss up for the last product, as I find so many useful. But I settled on their shredded coconut, which is perfect in treats like my Cranberry Almond Macaroons. It’s a great prize pack and perfect for any low carb, gluten-free baker! Please note that Bob’s Red Mill simply agreed to provide the products for the winner of this giveaway. I did not receive any product or compensation from them for this post. Those cranberry almond macaroons look fabulous. I think I’d start there if I won this great giveaway. Thanks for the opportunity. I LOVE Bob’s Red Mill products. Without them, I could never make delicious baked goods on my low carb diet. I would make the Hazelnut Chocolate Chip Bundt Cake! Yum! Bob’s Red Mill products are definitely a staple for my clean eating! I love the golden flax seed meal for my smoothies and a great egg substitute for my vegan eaters. Cheers to your 40th! Happy Birthday and wow – thanks for thinking of us! My own bday is right before Christmas so it doesn’t seem that special sometimes. You need to have a 6-month birthday. This is how it came into being for me. When I was about 16 I lamented to my older sister that it was too long to wait 12 months for my birthday and I suggested that I should have a 6-month birthday, on, you guessed it, the day 6 months after my birthday. As with so many of my genius ideas I completely forgot about it until my sister presented me with a surprise chocolate layer cake on my 6-month birthday. Ever since then I have celebrated my 6-month birthday, and my husband knows better than to forget about it! Well I already make your bran muffin recipe on a weekly basis, so that would be a good start, but I’d like to branch out and try something new, especially with the hazelnut meal, which I’ve never used. Hazelnut-chocolate loaf, perhaps, for a nutella-like breakfast bread. I’ve been thinking about some sort of yummy cheesecake. These products would be a great addition to any recipe! Thanks and Happy Birthday! I’m a big fan of BRM products! I think their coconut flour is my favorite – I use it in a lot of my cooking/baking. Happy Birthday! I would try the coconut flour first. I’ve never used it, and now is a great time to give it a go! I love coconut flour! I’m all out so I’d definitely use it to make some muffins. I’ve never tried the other products but they all sound great. I would use the coconut flour and shredded coconut to make some sort of coconut pie or bar…yum. so many options as to what to make! I have a couple muffin/cake recipes in mind for that hazelnut meal! I have a coconut flour cinnamon roll recipe all queued up and ready to go! I have an ongoing love affair with coconut so I would definitely use that to experiment making some yummy low carb candies for Easter!! I would have to try those delish looking coconut macaroons!!! Happy 40th!! And thanks so much for this site!! I am would make the hazelnut chocolate chip cake! Yum! Happy Birthday! Love your products! Love the sound of those macaroons! Happy Birthday! Love your products! Want to make those macaroons! All your recipes are fantastic. I love your chocolate cake and would make it as my birthday cake yummy!! Macaroons and Hazelnut bundt cake! I think I am going to have to try those Macaroons soon! Happy birthday! Those look amazing! Happy birthday! Those macaroon look delicious! I love Bob’s Red Mill products! I use their almond meal all of the time, as well as flax meal (those “bran” pumpkin muffins of yours are delicious, Carolyn) and garbanzo bean flour (I make a mean farinata). Your website has changed my life. I have made so many of your wonderful recipes, and I, too, love Bob’s Red Mill. I’d definitely make some coconut desserts and that hazelnut cake- oh yum! I will try the macaroons! How exciting! I’ve been wanting to try some of your recipes, but haven’t gotten around to buying ingredients yet. I would definitely make the Hazelnut Chocolate Chip Bunt Cake! Thanks for sharing these! I’ve never bought the hazelnut flour before. 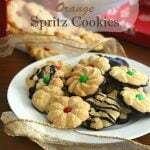 I think I would have to try some hazelnut chocolate cookies. Maybe even some waffles! I’m just beginning to use Bob’s Red Mill products, but I’ve baked a couple of things with almond flour and coconut flour. Would love to try the hazelnut flour for that cake as well as make the macaroons! I would love to try the hazelnut meal!!! Chocolate + hazelnut is my jam. I’d have to make those coconut flour pancakes with extra coconut! I love all your recipes, and I’m a big fan of Bob’s Red Mill too! The hazelnut bundt cake would be my first choice. Happy Birthday to You! Would love to try the hazlenut meal – I haven’t ever seen it in any of the stores I frequent. I’ve never tried the hazelnut meal and would be excited to experiment with it! Happy Birthday!! I would make that awesome looking Hazelnut bunt cake! I use the coconut flour but have not seen the hazelnut in my area. With Passover on the horizon I will for sue be making low carb macaroons. Never liked the ones in a can and yours look fabulous. I would love to try to make chocolate-hazelnut macarons with the hazelnut meal. I love their golden flaxseed – use it for muffins and crackers all the time! I’m really interested in trying the xanthan gum! Happy Birthday to you! I would makes all my favorites!! Those are exactly the same 5 I would pick if I had to choose my favs!! I would love to make some coconut scones with the coconut flour and shredded coconut!! I hooked on your biscotti recipes, in fact I’m making the chocolate hazelnut ones this morning! Hazelnut flour, my favorite! Forgot to wish you a Happy Birthday! Girl, I want to have some of whatever you’re having…oh and some of that hazelnut meal. Amazing! Happy Birthday to you! Those coconut pancakes have been calling my name…! I love hazelnut! The hazelnut chocolate bunt cake looks delicious. Happy Birthday! Happy Birthday! I’ve never tried the Hazelnut flour but now want to so badly! Thanks for spreading the cheer on your special day! Happy, happy birthday! That hazelnut meal sounds divine. I use their flax seeds all the time and grind them as I need them! Love Bob’s Red Mill. I love pancakes so I think I would make a double coconut pancake.! I have never seen hazelnut flour, that sounds soooo good!!! And those cookies sound great! I use their coconut flour in all sorts of things, but I would probably first make scones. Love the coconut flour and the flax seed! Would love to try the hazelnut meal. I just bought my first Bob’s Red Mill product this past weekend. Would love to try more! Stuftmama uses these products a lot! I’ve been wanting to make her Creamy Dreamy Ice Cream! You should check it out 🙂 Happy birthday! You’re still looking like you’re 20! your Hazelnut Chocolate Chip Bundt Cake sounds amazing! Just wanted to say that I have made your lemon poppy seed bundt cake 3 times in the last month, and every person (including the regular carbers) have gone NUTS over it. So thanks! Glad it’s such a hit! I have been dying to make the Hazelnut Chocolate Chip Bundt Cake. That’s what I would try making first! Oh, and HAPPY BIRTHDAY, Carolyn! Happy Birthday! Great products and a great company! Oh, and I’d make your Hazelnut Chocolate Chip Bundt Cake–I’ve never tried hazelnut meal before! I’d love to try the pancake recipe! Those coconut flour pancakes look delicious. I would love to try them! I made the panini bread yesterday. It turned out great. What a treat for a person who can not eat bread. 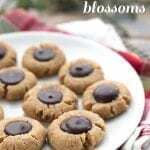 I am DYING to make homemade Samoas Girl Scout Cookies! I think I’d try hazelnut biscotti. Oooh! I want to make macaroons now! Happy Birthday! Local stores have stopped carrying coconut flour and I’ve been out for awhile, so I’d probably make pancakes or cheese biscuits if I won. I would love to make something with the Hazelnut Meal! I haven’t worked with hazelnut meal yet so that would be exciting! I eat flaxseed in my oatmeal every day, and I think coconut would be a yummy addition to oatmeal as well! I use the flaxseed to make 1-minute cinnamon microwave muffins….and we always have a stash of frozen coconut flour waffles in the freezer. I would start by making muffins! I would try the bundt cake, absolutely!!! What would I make with Bob’s Red Mill Products? Well, what wouldn’t I make with them is the question. Lol! 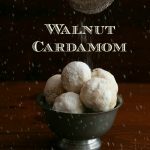 I’ve used so many of your recipes to bake the most wonderful low carb items. Pancakes, waffles, cookies, Donuts, muffins, breads, and the list goes on! I am so grateful for the wonderful recipes that you have provided and these products from Bob’s Red Mill have saved my Type I diabetic hubby from a very boring existence. Now I can vary his diet and not worry about high blood sugar episodes. I think his most favorite item is the Pumpkin coconut bread recipe made with Bob’s Red Mill Golden Flax seed meal, Coconut Flour and Xanthan Gum. I use this recipe to make muffins. I make a big batch if I know that we will be traveling and put them in the cooler so that he can have them for breakfast. There isn’t a day that I don’t use Bob’s Red Mill products. Thank You again Carolyn for the recipes, and Thank You Bob’s Red Mill for making these products available! Thanks, Celeste, for sharing. Glad your hubby can enjoy food…it’s part of the joy of life! I would make that hazelnut cake, yum! My 40th is in August, would be a great birthday cake! My hubby would go nuts over those coconut bites! Now, what I would make would take a while to decide as every recipe I see on your site sounds even better than the one before. I use almond meal/flour, flax seed meal, coconut flour, xanthan gum and coconut almost every day but I’ve never used the hazelnut meal so I would definitely find one of your recipes to use that first and, actually, that Hazelnut Chocolate Chip Bundt Cake sounds fantastic! Thanks for the giveaway; it makes life more interesting! I am making low carb lemon bars with the coconut flour right now! Yum! I’ve been making my own almond milk (it’s 100 times tastier than anything you can buy in the store) and then using the almond pulp to make grain-free “granola” with it. With the almond pulp, I put all sorts of seeds and nuts and I think these different sorts of meal and the coconut would be a perfect addition! I’d make a (gluten free) bread! Happy Birthday, Carolyn! Hope you had a grand day. I use Bob’s products all the time, but think your Hazelnut chocolate cake looks particularly good. That would be my starter recipe. Happy, Happy Birthday Carolyn!!! As I have a good amount of experience in the 4th decade of life, I can assure you that it’s the best yet. Cheers! I’d make a special birthday cake for our gluten free friends. Thanks for offering the chance to win. We love Bob’s Red Mill products. Happy Birthday! I would used the golden flax seeds for my buttermilk low carb bread and the hazelnut flour in an italien chocolate torte. I can’t wait to make your Light and Fluffy Coconut Flour Pancakes! I’m still relatively new to low-carbing, but I’d love to try the coconut flour pancakes. They sound so delish! I would most definitely make that hazelnut chocolate bundt cake! Thanks for the chance to win! I would love to make the cranberry almond macaroons! Those look delicious!! Thanks, Lisa, for all of your kind words. All of us in my family are GF and my husband and I are also LC. I have really been craving some pancakes, so I would first make pancakes! Cherry Hazelnut Macaroons for sure! Happy Birthday Carolyn! Congrats on 40! Love the blog and mornings wouldn’t be the same around here without your recipes. I’ve yet to try hazelnut flour and that bunt cake looks like a great place to start. Happy Birthday Carolyn! I hope you had a wonderful day with your family. I’ve always enjoyed using Bob’s Red Mill gluten free products, their coconut flour is in my cupboard right now and I just made some muffins with it the other day! 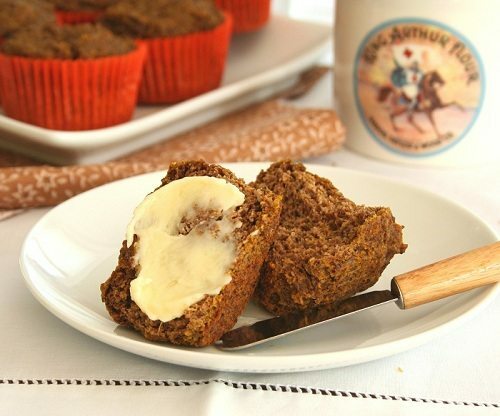 Must try the pumpkin “bran” muffins! Love pumpkin and love Bob’s Red Mill golden flax seed, which I use in smoothies and grainless granola. Love your recipes and love Bob’s Red Mill. I really like their products and your blog – a perfect match. Happy Birthday – I loved turning 40 – thought wow this is cool!! I would be so excited to win those cookies sure look good – think I’d give them a try. Happy 40th….Is it just me or are the people turning 40 these days looking more like “late-20’s/early 30’s-ish?? ?…Forty is so YOUNG…now!! Moving on…I would make every single recipe here…especially the hazelnut chocolate chip bundt…and I have a favorite family dessert “Filbert Torte”….from an old 1984 “Best of Food and Wine” cookbook… which uses a full pound of ground hazelnuts!..The page is stained/”loved” beyond recognition as I make this at least once a year…twenty-five years running!…Love that Bob’s …and filberts are so Oregonian!! !…My sister lives five minutes from the Bob’s Red Mill HQ! !…Very friendly …”family feel” environment…they have great tours and a superlative café as well! Happy birthday and thanks for thinking of us with Bob’s Red Mill Products! Love them! You had me at macaroons… or was it bundt cake…? I just saw the hazelnut flour in the store last week and almost bought it but didn’t, so I would love this mix to try your Chocolate Hazelnut Bundt Cake. This gluten free is all pretty new to me since I just diagnosed myself with gluten sensitivity because the Drs.. couldn’t find anything wrong with me by doing CT scans, MRI’s , etc, etc. I decided to try gf and guess what I ‘fixed’ myself!! I’ve never tried Hazelnut flour – so I would start with that. I find it a bit funny that you’re talking about Bob’s Red Mill and there is a King Arthur flour mug in the back of your muffin photo. LOL I like both companies! LOL, that’s funny, I never even clicked to that. I think KAF is great but since I can’t use flour anymore, I just use some of their kitchen products! i’d make a coconut pie!! I would use the coconut for a crust for key lime pie! Shredded coconut is a staple for my Low Carb, High Protein Energy Bars. Can’t make it through the day without! I hope that you had a FABULOUS 40th!! I agree, giving the “perfect” gift is the best feeling! Happy birthday Carolyn!! Hope you’re enjoying it 🙂 I’d try your coconut flour pancakes – I’m still trying to perfect a recipe and these look absolutely scrumptious. I would love to make bread or muffins first!!! Happy Birthday!! the food looks amazing as always.. I didn’t know about the hazelnut meal, so the first thing I would make would be something using that. Maybe a flourless nut torte. Yum. Been trying to cut back on flour, this would help me expand! I love BRM. This is a great prize. I also love going to the Mill in Oregon, lots of fun. I would love to try your cake recipe with hazelnuts. Happy Birthday! The Coconut Flour Pancakes look delicious! I will definitely have to try this recipe. Thanks! Your Hazelnut Chocolate Chip Bundt Cake sounds perfect for my in-laws. They love anything hazelnut and I love making bundts for company. Happy Birthday! What birthday cake did you bake yourself? I’m dying to make that chocolate hazelnut bundt cake! Oh, I think I would make that bundt cake first….but muffins, coconut bread and cookies afterward. I forgot how much I missed my wheat-based bundt cake – I would love a g-f alternative. I love to make granola energy bites and have used Bob’s Flax Seed Meal in them before! They have such great products. Thanks for sharing, Carolyn! Hope you had a very happy birthday. I’ve always wanted to try the hazelnut, so that would be first since most of the other products I use regularly. Many happpy returns! I’ll have to try the hazelnut Bundt cake. It looks awesome! I just sent my daughter a Bob’s Red Mill care package! Her birthday is next week, and she’s been doing so well on low Carb that I made her promise to make herself a birthday cake from your website! I’m not sure, but I have their bread flour in my bread machine right this min. I haven’t tried any of the low-carb flours or mixes. I am craving cake so much these days, and I have an amazing looking strawberry cake pinned on Pinterest I really want to try! Definitely cranberry macaroons. Also need to try xanthene gum. That Hazelnut Chocholate Chip Bundt Cake looks heavenly. I love all things hazelnut!!! I would have to make the macaroons, pancakes and bunt cake…and most everything else on the blog!! I would make pizza crust! Yum! PIZZA! My husband loves macaroons! Those Cranberry Almond macaroons look like just the thing to make and surprise him! I would love to win this, I will be turning 40 on March 17 and I could make me something special withouth falling off the wagon! I would love to win this giveaway to stock up my pantry so I can make yummy low carb goodies for my husband and me to enjoy on our new Eating plan! Thanks!! Don’t know what I would bake, but sure it would be interesting! Lol……HAPPY BIRTHDAY!! The Cranberry Almond Macaroons will be the 1st recipe I’ll try!! I love Flax in my shakes! I can not weight to try Coconut Flour in a cake! That Hazelnut Chocolate Chip Bundt Cake looks quite yummy. I might have to make some now! 🙂 Happy Birthday! Mmmmm…I have my eye on that Hazelnut bundt. YUM! I would start with that Hazelnut bundt cake! There are a number of your recipes I would like to try! Happy Birthday! Happy Birthday! I have a soft spot for coconut macaroons, so that would probably be my first go-to recipe! I definitely make muffins! I use the flax seed all the time in my shakes. I just grind them in the blender before I add my liquid and other ingredients. If I won your giveaway, I would make those delicious looking Macaroons. Thanks for sharing your birthday! I’ve only ever used their flaxseed, but I’m getting back into low carb and eager to try some other products! Being unfamiliar with these products, I don’t know what I would make. If I was lucky enough to win, I would consider it a chance to learn. I’d have to google up some ideas and try them. Pancakes would be on top of the list! Your baked goods look fabulous! just made a hazlenut cake last night and it was yummo. I love baking it’s nice that these product are easily found. I would love to try the coconut flour pancakes! I’ve wanted to try the hazelnut bundt cake for a while…so that one! I think I’d have to go with pancakes or maybe some kind of bread so I could have toast with butter or something to dip in my egg yolks. Mmm. I miss eggs on top of buttered bread. I love Bob’s Red Mill Flaxseed Meal and Coconut Flour – I use them constantly for baking and for breakfast =) Would love the chance to try their Shredded Coconut and Hazelnut Meal!! Happy birthday!! Your hazelnut chocolate chip bundt cake looks like a good place to start! I would love to make them all but first try the pancakes…my kids love pancakes!!! Oh MY! Hazelnut sounds delicous! I would definitely go for the Hazlenut bundt cake first! YUMMM Thanks for this awesome giveaway! Muffins for breakfast sound like a great treat! i use a lot of Bobs product but would LOVE to try the hazelnut meal!!! I would definitely make macaroons first and would snack coconut right out of the bag! I am a cocoNUT! I love Bob’s Red Mill. I would make a grain-free German Chocolate Cake with these ingredients for sure. I love Bob’s flaxseed meal for yogurt parfaits and baking and also their GF cornbread mix. Thanks for the chance! I don’t know what I would make first, maybe your pancakes? So many choices! Wow, lots of comments! First, I hope you had a great birthday! I think I would make something indulgent like the chocolate chip hazelnut bundt cake, but ‘legal’ at the same time! 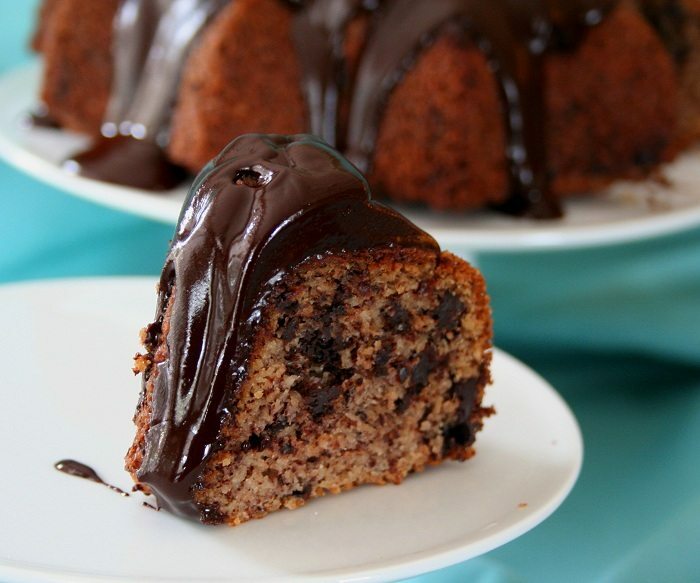 I think I would try your Hazelnut chocolate chip bundt cake! Mmmm the pictures are making my mouth water! Happy Big 40! Love Bob’s stuff! Want those cranberry macaroons ummm! Oh my gosh I would NOT know where to start.. All those recipes look fabulous!!! What would I make with these products? MIM’s of course!! Muffins in a Minute! What would you make first with these items? I would def be looking over your blog posts for new breakfast ideas. We love pancakes and cookies, “sweets” for the start of our day and I REALLY need to freshen life up!!! The 1st thing I would make is your peanut butter pie and then try some different pancake/crepe sort or recipes. I would live to try your blueberry muffins. The recipe is on my fridge. Happy bday! Oh, wow…I’d go on a baking spree! I just saw a recipe online for a chocolate hazelnut cake! I’d probably start there! Happy Birthday! Low carb panini and sub bread! Thanks! I would make coconut flour pancakes! Hope you had a wonderful birthday! Definitely need to make the pumpkin “bran” muffins, yum. Happy Birthday! I would try anything with chocolate. This is the second week of low carb eating and I would kill for something chocolate! Happy Birthday! I love their coconut flour – it’s good to use for my friends who have allergies to the almond flour. thanks! Happy Birthday Carolyn! It is so true, the older you get, the more you realize how much better it is to give than to receive. I love Bob’s Red Mill products – I’ve tried many of them, but not their hazelnut flour. I would have to make something with the Hazelnut meal because that’s one I haven’t tried yet. Thanks for the chance to win! Happy birthday and I love your recipes. If I won, I would definitely make some hazelnut pancakes! And that Almond macaroon is irresistible! Cranberry Almond Macroons look yummy. I can’t wait to make them! I LOVE to use their hazelnut flour! I use it in place of almond flour since I cannot have almonds. It works great! And it took me almost 2 years to go through a bag of xanthan gum to! Oh and I definitely have my eye on that hazelnut chocolate chip bundt cake! Yummy! Happy birthday! I’ve used the gf mix & gf cornbread mix so.tasty! Would love to try the other stuff too! I love all the Bob’s Red Mill products I’ve tried so far and would love to try these. Not sure what I’d make…. but my wheels are turning! Carolyn, hope you had a WONDERFUL birthday!!! Happy Birthday I have tried the coconut flour & it was amazing. I would love to try the others especially the Hazelnut Flour & those macaroons look delicious. I could make some macaroons! Hope you had a great birthday, Carolyn! I’d love to make something with hazelnut meal. Yum! I use Bob’s coconut flour, flax, almond…all of them! Love ’em! Looking for healthy snacks for my kids. 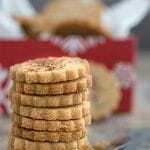 –Golden flax meal: GF biscuits, GF pizza crust, quick muffins, added to granola… the list goes on! Since I went low carb, I’ve been missing pancakes. So I’d definitely first try the Light and Fluffy Coconut Flour Pancakes. Love Bob’s Red Mill Products as part of my low carb pantry! Actually just going to make your Almond-Crusted Butter Cake – again! Have made it at least a dozen times now – loooooooove it! Pumpkin “Bran” Muffins. Thanks for the opportunity to win the giveaway. I love all your recipes!!!!! I’m new to the whole low-carb scene, and as of recent I’ve realized the overwhelming demand for flour and other products that Bob’s Red Mill has in stock. 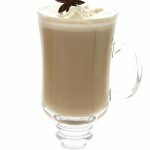 As they run a bit pricey, I have to hold myself back from buying as much as I’d like– I would definitely love to make more, and be able to try new recipes from your site (which I am in love with!) Thank you so much for all of the delicious recipes! Bake more low carb goodies! You are most welcome, Lany! Oh I would most likely make a Hazelnut Chocolate Chip bunt cake! Looks way to sinful 🙂 Then some coconut flour brownies, and I love making “Muffin in a Minute” buns with flaxseed for my egg muffin sammies in the morning or for my bacon cheeseburgers! Happy 40th birthday, Delicious. If I won I would like to try Bobs red mills coconut flour. 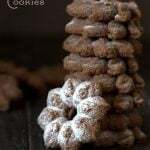 Would love to make some coconut cookies! Love BRM!!! I would love to have those products stocked in my pantry too. Happy Birthday…belated as it is. I am sooo missing some FLUFFY pancakes, lol. Thanks for the generous giveaway! I’d make some chive and cheddar biscuits, Red Lobster- style. Hazelnut meal? Yes, please! I haven’t seen it here but since I discovered hazelnuts by using them in the Chocolate Nut Energy Bar, I will be scouring HEB’s shelves for it! Let’s see, sitting on my counter, I have Bob’s Coconut Flour and Xanthum gum out to make pancakes. In my fridge, I have open packages of the regular flaxseed meal (I go through the nut bars like they are candy, wait, they kinda are!) and the golden flaxseed meal (make pumpkin “bran” muffins last week). I have new packages of gluten free oats (I keep thinking I will figure out oatmeal cookies one of these days) and almond meal (absolutely perfect in your gingerbread scones). As for your 40th, all I can say is – Welcome to the 40s! Halfway through mine and, I can honestly say, I have LOVED my 40s. Happy Birthday, indeed! I found your website in Dr William Davis’ book, Wheat Belly. I can hardly wait to try some of your recipes. I think the first will be pancakes. Thanks for the blog! You have done the hard work. I will reap the rewards of it. I would make the coconut pancakes! 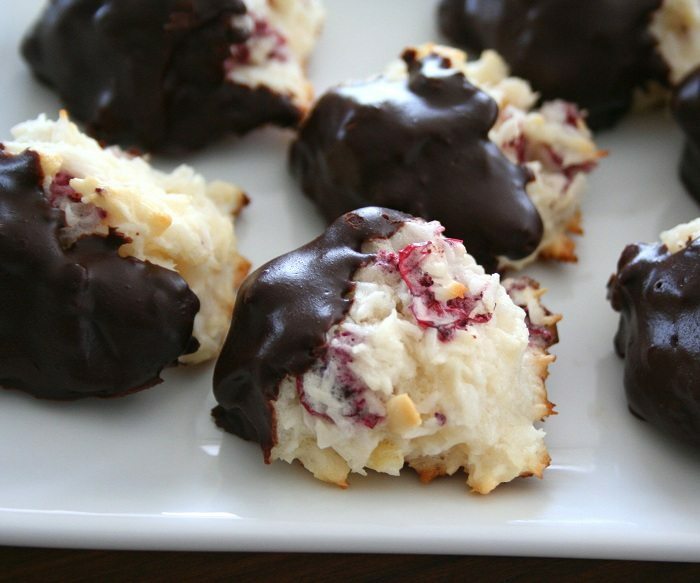 Oh, I would love to try the shredded coconut to make the Cranberry Almond Macaroons…those look so good! I would love to try some muffins with these ingredients. Happy Birthday to you!! I really enjoy your blog and recipes. I’ve just started exploring low-carb meals and baking happens to be one of my favorite pastimes! I would love to start incorporating different, healthier flours into my baking. I’ve been meaning to try those macaroons for a while. Hmmm, I would make COOKIES! Coconut pancakes sound so awesome. Thanks! I would like to try and make the hazelnut bundt cake with chocolate chips! I t sounds really good. I’d definitely have to try some hazelnut chocolate muffins with these ingredients. Bob’s Red Mill makes some amazing products, I’ve been wanting to try the hazelnut meal. Thanks for the giveaway!